This Is The World’s Oldest Tree – Or Is It? The tree sprung up in 7550 B.C., making it older than recorded history. Wikimedia Commons Old Tjikko, the world’s oldest tree. Standing just barely 16 feet tall, the tree that bears the name Old Tjikko doesn’t seem that impressive at first glace. But the tree is notable not for it physical stature but because, at 9,550 years old, it is widely known as the world’s oldest tree. 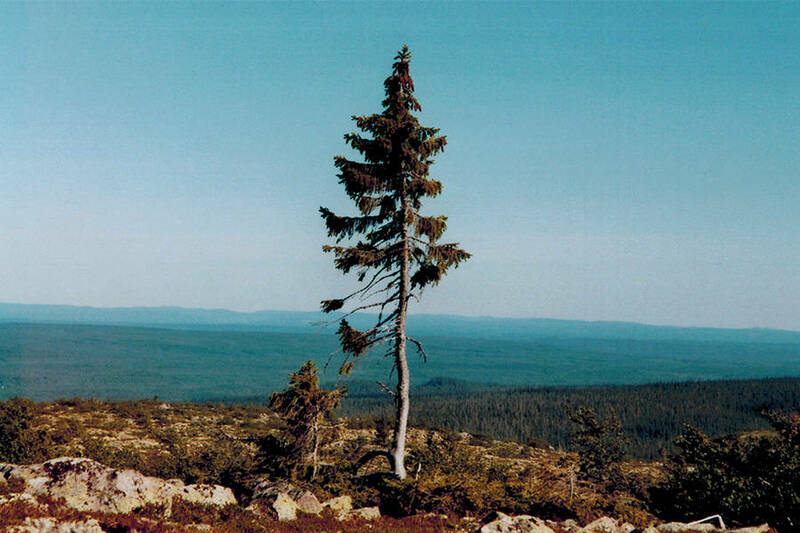 The tree is located on Fulufjället Mountain, at the Dalarna province in Sweden. 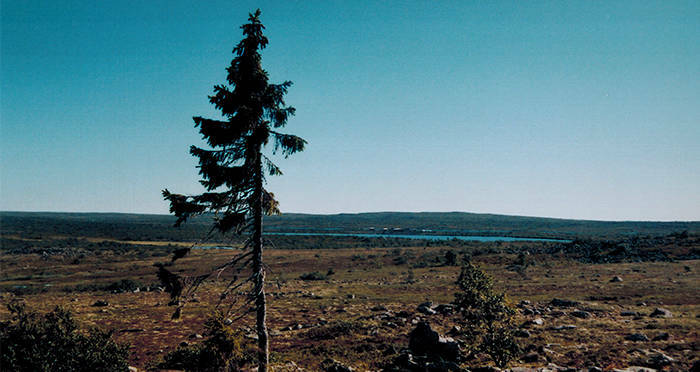 In 2004, Leif Kullman, the Professor of Physical Geography at Umeå University, along with a team of researchers from the university, discovered the tree while conducting a tree census on Fulufjället Mountain. Kullman named the tree after his late dog. Previously, the oldest known trees were thought to be 5,000-year-old pine trees found in North America. The area the tree first sprouted in almost 10,000 years ago was a harsh tundra region, but, as the climate began to warm, the tree was able to grow from a shrub to a normal tree formation. The discovery of a tree that old in the region also proved that the climate in Sweden had actually warmed much earlier than scientist had previously believed, allowing Old Tjikko and other ancient Norway Spruces to grow in the surrounding area. Professor Kullman believed that it was possible the tree had been imported to the area by migrating humans, since even 10,000 years ago the region would have been a harsh, cold climate for them to have grown organically. At 11,000 years ago, the growth of a Norway Spruce would have been impossible in Sweden, given the worldwide ice age that had encompassed the area. 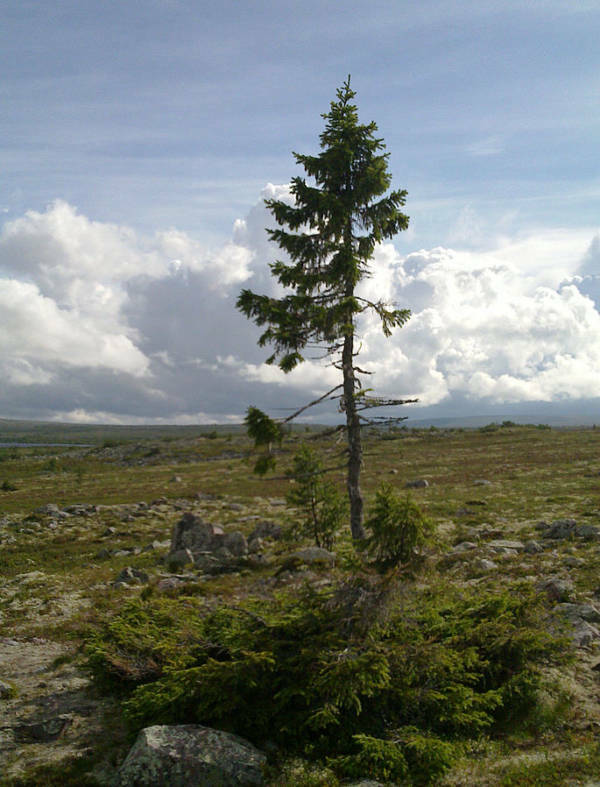 However, Old Tjikko’s rank as the world’s oldest tree is somewhat controversial. It is a clonal tree, which means that, while its root system is the oldest ever discovered, it has sprouted new trunk, roots, and branches over the course of thousands of years. Therefore, the trunk is only a few hundred years old. The root system remains intact even once the trunk dies, and through a process called vegetative cloning, is able to regenerate a new tree trunk to take its place. Each trunk can live for up to 600 years, before it dies and the process begins again. At the same time, the heavy snow pushes the tree’s branches down, eventually forcing them into the ground. In a process called layering, the branches then take root underground, and new roots then sprout from the old ones. Since the part of the tree that is visible is not as old as the roots, some people counter that this disqualifies Old Tjikko as the world’s oldest living tree. 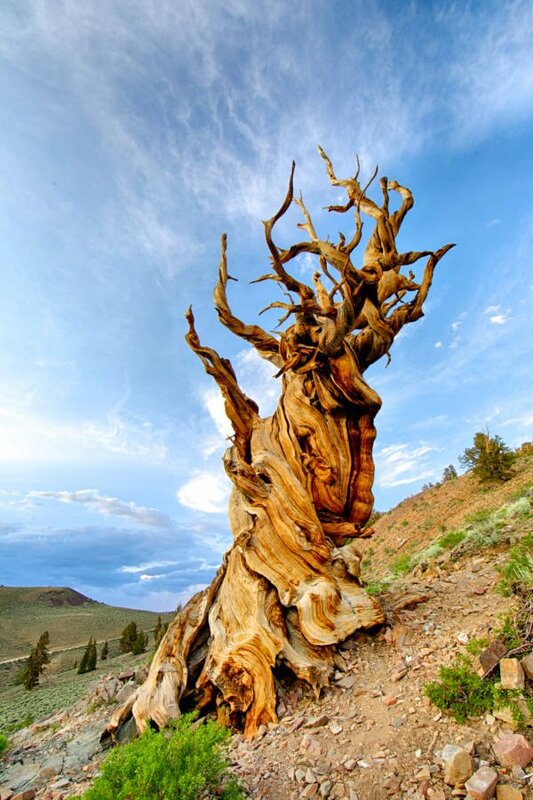 The next closest contenders for the oldest tree that does not rely on vegetal cloning is the 4,768 year old bristlecone pine tree named Methuselah, which lives in California’s White Mountains. FlickrMethuselah in White Mountains, California. Despite the controversy over the exact status of the tree, there is no denying that Old Tjikko is an ancient and important life form that has contributed much to scientists’ understanding of early plant life and the effects that climate change has had on vegetation. Old Tjikko has gained worldwide fame as such an important tree, and Fulufjallet National Park hosts guided tours to visit the tree three days a week during the summer, so curious visitors can see one of the oldest organism still alive today. Next, read about the Greenland shark, the world’s oldest living vertebrate. Then, read about the company that used a 220-year-old shipwreck to make the world’s oldest beer.